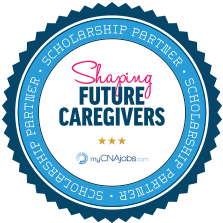 Ideal School of Allied Healthcare, providing CNA classes in Medford, NY offers CNA scholarships via the myCNAjobs Scholarship Fund each year. The scholarship for nursing CNA classes is available to anyone in the local community seeking to build a career as a CNA or grow within the nursing field. Multiple CNA & LPN Openings in Woodbury! $16.00-$27.00/hr with Paid Orientation!